In January 2018, Triggerfish ran workshops from the Triggerfish experience to understand Place' business goals, customer profiles and value proposition. This was the foundation for the Customer Experience Design process and the assembly of the Marketing Technology stack. The decision was made to immediately implement a responsive, mobile-first website built on HubSpot. The website, built on HubSpot COS, is fully integrated with the REX Real Estate CRM, using the Triggerfish Rex/HubSpot connector (built on Microsoft Azure) and has tracking, forms, HubDB, automation and CTA enabled. During scoping and planning, Triggerfish performed intensive data analysis and tracking of the existing website analytics and implemented LuckyOrange to get a clear picture of website behaviour. Going forward Triggerfish uses HubSpot, Google Analytics & Databox to ensure that both assumptions and insights accurately reflect the state of marketing within the business. My Place Team is delighted with the rapid development of our website, on time and budget, achieving our first HubSpot milestone. The quality of the Triggerfish consultancy, responsiveness of their staff and flexibility of HubSpot platform has been exceptional. We are enjoying the weekly huddle that aligns our marketing teams priorities and content. Really looking forward to our ongoing partnership and hitting our mutual growth goals. As a brand, Place wants to enhance both the buyer and seller experience, whilst at the same time being able to identify, segment and target them effectively. 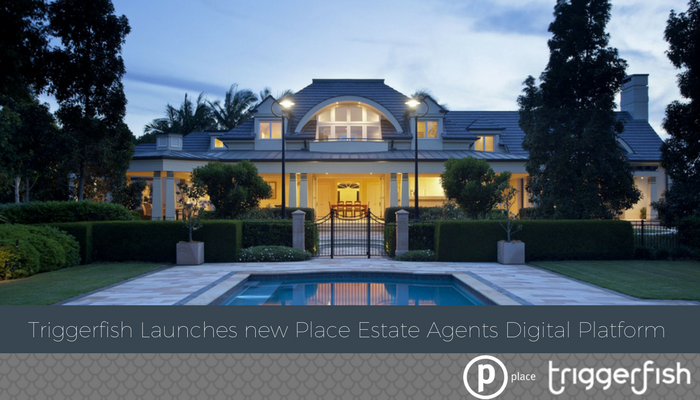 Triggerfish are now working with the Place digital marketing team on a monthly optimisation program that includes Data Access & Analysis, Content Strategy, Website Design Improvements and Campaign Execution. Our team prides ourselves on being delivering conversion optimised; growth focused, inbound marketing strategies to build better websites and excellent eCommerce. We believe that deep, unique relationships with customers are at the heart of profitable growth. Our relationship with Place helped them get the most out of their investment and ensured that their deliverables were aligned with their corporate vision and customer needs. Next steps with Place will include helping them manage their investment, with Triggerfish focusing on implementing a marketing and operation program to help Place facilitate their growth. If you want results fast – we can help. Talk to us about Growth, Inbound Marketing, Marketing Automation, HubSpot, Sitecore, or Coffee. It would be great to hear from you.